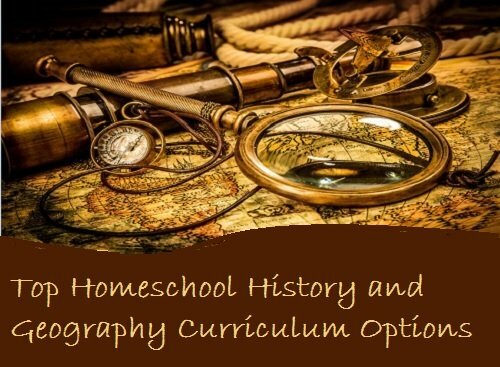 One of the greatest benefits of homeschooling is being able to use a homeschool history curriculum that makes the past come alive for your kids. History can be one the easier subjects to teach if you find ways to make it interesting for you children. History doesn’t have to be taught in strict order either. If your child is fascinated by a certain period of time, don’t waste the opportunity. Children are very passionate. How many of us went through a phase of being fascinated by dinosaurs or similar? These moments are ideal times for a child to absorb and retain historical information. The way you approach this is entirely up to you. Trips to museums and historical sights can add real life excitement and adventure to a homeschool routine. Artifact heavy museums and exhibits helps a child feel a personal connection to the past. Reading about history is one thing, seeing evidence of it takes the experience to a different level. Here is some helpful information when considering what type of history and geography curriculum for your homes school. One of the most important things to consider when selecting any curriculum is your child’s learning style. Does your child learn better visually, by listening or by doing? Look for a curriculum that lends itself well to different learning styles to get the most value. You will also want to work in a sequence and at a pace that will keep you child engaged and interested in learning. Another consideration will be the worldview taught by the curriculum. History can be slanted greatly in one direction. Does your program offer a worldview compatible with what you are wanting your children to learn? As changes are made to what is taught in the public schools, secular and Christian texts may become very different. You will want to make sure that the worldview is consistent with your own. 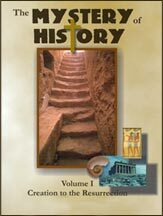 For those that want a great Christian history curriculum, there is Truth Quest History. This program is literature based so children develop a good knowledge of famous books and quotes that will help them in other areas of their studies. This is very Biblical based so those that are looking for a curriculum that is only slightly based on the Bible may be a little overwhelmed with this text. Samples are available online for parents to get a better idea of what this is like to use. This text has won many awards and gets good reviews from parents and educators. The publisher offers a lot of support and resources to homeschooling families. Free audio recordings and access to articles help parents gain insight on how best to instruct their children. 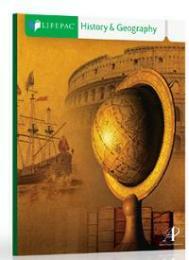 Truth Quest teaches history from all over the world in fun to use workbooks. For more info….. This program uses a combination of read-alone and read alouds that incorporate the book and subject being studied. The emphasis in this homeschool history curriculum is the biographies of famous figures from the past. This program makes learning interactive. Sonlight strives to make the past come alive for students, with heroes that children and emulate. It also highlights the “villains” so children can learn things to avoid. This approach uses integrated learning along with the Sonlight Language Arts, bringing themes together from the history program. Most home schooling parents are familiar with the Alpha Omega curriculum. This program uses a Biblical based background as well, for ages K-12. This curriculum offers ten workbooks to use through the year. Each workbook takes about 3-4 weeks to finish. This curriculum works well for students who need a sense of accomplishment. These workbooks can be used alone of as supplemental learning materials. LifePac’s History and Geography program strives to teach an appreciation of God’s activity and record of his relationship with man. Themes in this curriculum include World and American Studies, Geography, Government, Economics and Social Studies so students get a wide perspective. The name of this curriculum implies its use of story telling to make the past come to life. This curriculum is a guide through time. It intertwines historical Biblical people and events with the rest of world history. For parents looking to teach the Biblical world view, this curriculum brings it together for them. The text offers lots of related activities for children at various academic levels. They can be used as simply or as in-depth as the family decides. This program also offers a CD set, where the students can listen as the author, Linda Hobar, reads the stories. We have found this to be very helpful as the stories from history are narrated with the music and voice inflections. This makes learning convenient and fun, in the car, as a bed time story or with the accompanying textbook. The Abeka Series has been popular for many years. In fact some of the parents reading this may have used this series if they were homeschooled themselves. Abeka is easy to use and the assignments can be completed quickly. Some parents report that since the material can be a bit dull for some kids, that you need to add some more hands on and interactive activities. Abeka does a good job offering lessons that are appropriate for each age group they are listed as being for. The curriculum includes tests and quizzes so parents don’t have to worry about designing their own. These texts cover a wide array of history around the world. For more info on Abeka…. Abeka may not be the best option for those that want a completely secular curriculum. Abeka materials are often available used or through a homeschooling group. This program is designed for 9-12th graders, and is a more challenging program. KONOS is designed to incorporate rigorous research, reading and writing into the student’s knowledge base. It also provides activities, and a variety of large maps and time lines. This is a great program for those that do well with a more visual approach to learning. It works well for teaching students independent study. This prepares students for the college experience, and life! Students are encouraged to plan weekly schedules for learning with parents. KONOS comes with the Student and Teacher texts, and includes the maps and time lines to accompany the books. Want your kids to look forward to learning about the past? Evan Moor uses pocket books to make learning about the past more fun. Learning about history is almost like an art project when using this method. The students will make interactive projects and store them in pockets used as a portfolio. 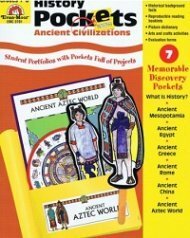 This books focus on specific aspects of the past, such as “Ancient Civilizations” or “Life in Plymouth Colony” that provide a basis for each project. These books are also available as downloads on the computer, and are white board compatible. Evan Moor books cater to children in Pre-K through 6th grade. Kids love it! If you have a child that it is hard to get excited about learning then this is one of the better options. The price is economical as well, which can be a big concern if you are homeschooling multiple children. This system offers history courses that can take your child from 2nd grade through High School. The program is very interactive. Students listen and/or watch lectures that bring history alive. This is a great method for those that like the idea of online education. Busy parents that think they don’t have the time for homeschooling will be amazed at how programs like this encourage independent learning while keeping track of progress. There are several different options for online learning. At the high school level parents can choose between paying $20 per month for recorded audio lectures, $35 per month for audio plus a live lecture once a week, or at the $75 level they can enjoy live lectures throughout the entire course. When researching your options, find one that will work well with your family’s other instructional materials. Many of these offerings will work well in conjunction with the others, and the joy of home schooling is that you can give your children great learning tools that are tailored to meet the way they learn instead of a one size fits all approach to learning history and geography. Consider using a combination of fun and more structured learning.This gives your child an opportunity to discover the pleasure of history, while still giving you the opportunity to measure your child’s learning. Homeschooling means that you can have total freedom to combine curriculums and create a customized learning experience for your child. Resources such as Google Earth can make geography a lot more fun and interactive for kids. When learning is just exploring something online, kids don’t have the impression that they are being “forced” to do schoolwork. There are many different worksheets and other materials that can be found online and printed. One popular exercise is to print a blank map and let children write in the names of countries based on their shape. Many children learn state capitals this way. Color coding some countries can teach a child to recognize them easier. Don’t rush into one text. Visit vendors and talk with other home schooling parents to find the right fit for your family. Used materials and online samples are good ways to get a feel for what a curriculum has to offer. If you have more than one child, you know that what works for one child may not work for your other child and if you realize that you need to supplement your learning materials, there are a wealth of options available for you. 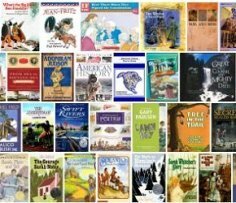 Have You Used Any of these Homeschool History Choices? It is always helpful to get real experience reports from homeschooling families. Please send your reviews to us and help others embark on the exciting journey of being a homeschooling family!